Development of a digital identity in a network of scholars can be messy. This messy session will offer attendees an opportunity to learn and connect. Development of a digital identity and becoming a part of a network of scholars can be a messy process. In education today, information is readily available at students' fingertips, and instructors and textbooks are not sole sources of information, yet concepts of learning and outcomes often remain linear and best-practice-based. This panel aims to stretch beyond those conventions to what Snowden (1999) calls "the complex domain," and explore how the messiness of network connections and unlearning can enable authentic, meaningful engagement, the development of personal learning networks, and effective digital identities. Join these networked scholars who will share their own messy teaching and learning experiences. The panel will interact with attendees on the topics of social media, networked connections, blogging, MOOCing, and researching with peers across distributed networks. The panel will also show how these practices have led them to form new ideas, friendships, scholarly connections, and more. This session will also offer a messy learning experience for attendees where we will Stream, Sketchnote, Tweet and share our messy learning experiences. Part of the messy experience is connecting, so be ready to network. While we cannot guarantee that the session will remain focused due to the inherent messiness, we will make every attempt to address the ideas described. Currently, Whitney is a consultant serving institutions of higher education to build scalable online offerings. She recently served as vice president, Academic Services International for Academic Partnerships (AP). In this role, Whitney is responsible for the planning, development, and assessment of AP's international partner universities' high-quality online degree programs (in Latin America, UK, China, Australia, Spain, and the Philippines). She has an extensive background in education, leadership, educational technology, strategic planning, learning management systems, professional service delivery, and organizational change. Prior to joining AP, Whitney worked for SunGard Higher Education. Starting as an academic services consultant and learning management system expert providing services to 25 institutions nationwide, Whitney later became the director of academic technology for the College of Southern Nevada, a SunGard Higher Education partner. In that role she led the cross-functional expansion of the virtual campus and upgrades to more than 300 smart classrooms. Under her leadership, the Online Campus grew larger than any of the brick and mortar campuses, serving 46,000 students. In addition, she also taught online accelerated courses and has made numerous presentations around the country on topics such as: Building Retention into Online Programs; Transition to Hybrid/Online Learning; 7 Things You Should Know About Web 2.0 Tools; and Engaging Millennials with Mobile Technology. She is a member of the Sloan Consortium, EDUCAUSE, and is a Quality Matters certified peer reviewer. Whitney received a post-graduate certificate in Educational Technology Leadership from George Washington University, and holds a Master of Science in curriculum and instruction from Texas A & M University - Corpus Christi. She is currently pursuing a Doctor of Philosophy degree in educational computing at The University of North Texas. 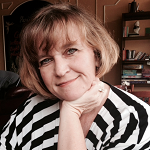 Bonnie Stewart is an educator and social media researcher fascinated by who we are when we're online. A longtime teacher and writer on open online education possibilities, Bonnie has spent the last 15 years exploring the intersections of knowledge and technologies. She's taught online and in hybrid higher ed contexts since 1999, and has worked with Massive Open Online Courses (MOOCs) since their early days in Canadian experimental education circles. Published in Salon.com, The Guardian UK, and Inside Higher Ed as well as academic venues, Bonnie explores social media literacies, networked identities, academic influence, and the implications of 'open' for higher education in her research. From the same Prince Edward Island red dirt as Anne of Green Gables, Bonnie has lived and taught on all three coasts of Canada and around the world. She coordinates an adult education B.Ed program and teaches technologies, literacies, communications, and educational foundations at the University of Prince Edward Island. 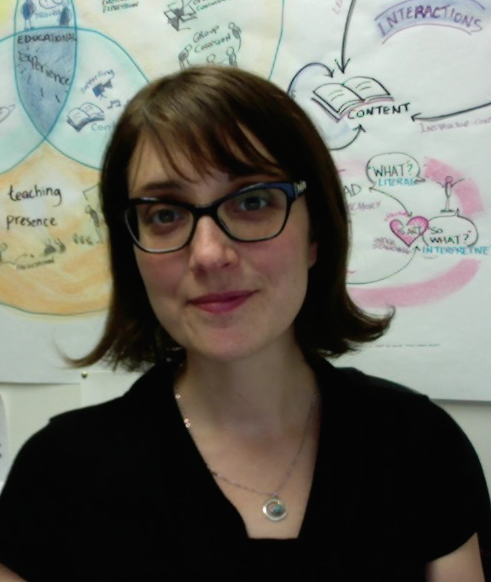 Giulia Forsythe is the Special Projects Facilitator at the Centre for Pedagogical Innovation at Brock University in St.Catharines, Ontario, Canada. She supports faculty and teaching assistants in active learning and online learning course design. You can usually find her doodling connections to ideas and people through her digital sketchnotes.